Peonies make fine sentinels lining walkways and a lovely low hedge. 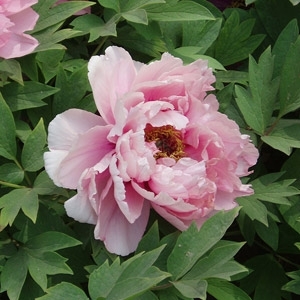 After its stunning bloom, the peony's bushy clump of handsome glossy green leaves lasts all summer, and then turns purplish or gold in the fall, as stately and dignified as any shrub. We have many varieties that thrive in the south - pink, red & white.